Assessing the need for retention, modification, or replacement of research and dissemination materials. 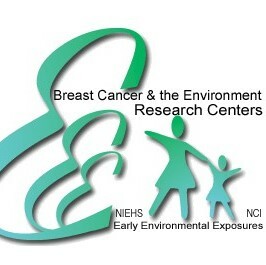 This project of the National Institute of Environmental Health Sciences (NIEHS) and the National Cancer Institute (NCI) sought to determine whether the existing research translation and dissemination materials developed by the four Breast Cancer and the Environment Research Program (BCERP)-funded Breast Cancer and the Environment Research Centers (BCERC) located at Michigan State University, Lansing, MI; Fox Chase Cancer Center, Philadelphia, PA; University of Cincinnati, OH; and University of California, San Francisco, CA), and their partner agency Community Outreach and Translation Core (COTC) should be retained, modified, or entirely replaced for each target audience. Meeting with NIEHS and NCI staff to present study findings.